During the British Embassy’s ‘Roadshows’ around France it has become clear that there are regular themes or recurring issues that come up. 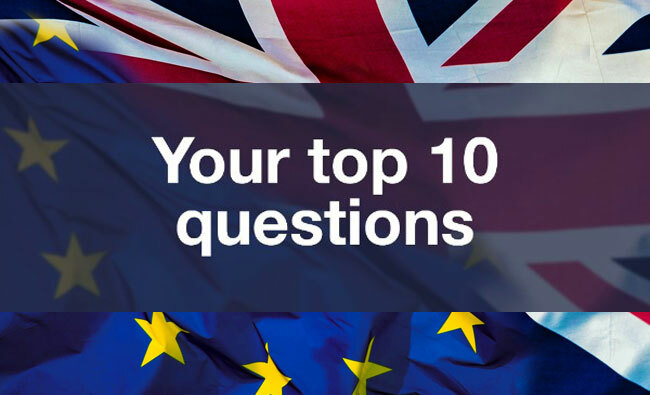 Reflecting that, the British Embassy in Paris have produced a Top Ten Q&A of the most frequently asked questions, which they hope you will find helpful. 1. Can I stay in France after Brexit? The agreement reached with the EU means that those living legally and permanently in France will be able to stay here and continue to work and access education and healthcare. More specifically, if you have been legally and permanently living in France for five or more years at the end of the implementation period (i.e December 2020 – see below) then you will covered by this agreement – known as the Withdrawal Agreement. You will be entitled to the rights agreed by the EU and the UK. Unless you leave France for a period of more than five years, then you will be entitled to these rights indefinitely. If you have been legally and permanently living in France for less than five years by the end of the implementation period, then you will be allowed to stay to make up these five years. During this time you will be covered by the rights outlined in the Withdrawal Agreement. 2. What is the ‘implementation period’? The UK will no longer be an EU Member State after 29 March 2019. However, we have agreed with the EU on an implementation period that will last until 31 December 2020. Until the end of 2020, UK nationals living in EU Member States, including France, continue to have broadly the same rights and status as today. 3. What should I do now as a UK national living in the EU? How will I register in France after Brexit? Will I need a carte de séjour? The French Ministry of Interior are working on the system they will put in place to enable British nationals covered by the Withdrawal Agreement to claim their rights after Brexit. The agreements already made with the EU commit them to keeping any such system smooth, simple and transparent and as soon as the French Government has reached a decision, information will be shared as widely as possible. You will have until at least June 2021 to submit any necessary registration documentation. In the meantime, we would encourage eligible UK nationals to prepare your papers (bank statements, statements of household bills etc) to demonstrate your continued residency in France and to apply for a carte de sejour. 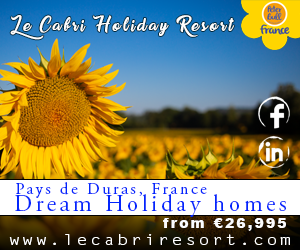 On cartes de séjour, you do not currently need one, but are entitled to one, subject to the same requirements as other nationals of EU member states. The British Embassy is in regular contact with the French Authorities and if you experience problems obtaining a carte do please contact us (france.enquiries@fco.gov.uk). We are in the process of updating the Government’s online Living in France Guide, which provides practical information for expatriates and which we will use to share the latest information on cartes de séjour and the future registration system; you may wish to sign up for updates here. 4. Will I continue to receive my UK state pension after Brexit? Yes. 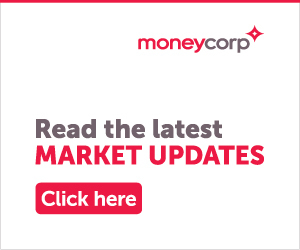 If you are covered by the withdrawal agreement with respect to a UK state pension for social security coordination purposes then you will continue to receive an uprated – and aggregated, if applicable – state pension. The same is true for those covered by the Withdrawal Agreement who reach state pension age after the implementation period. 5. What about healthcare cover and benefit export? These are also covered by the social security coordination section of the Withdrawal Aagreement. Just as you will continue to receive an uprated state pension, retirees will continue to receive associated healthcare – what are known as reciprocal healthcare rights (S1, EHIC and S2 rights) once they export their state pension. The rights to equal treatment for healthcare of those employed in France are also protected – on the same basis as a comparable French national. If you are covered by the Withdrawal Agreement, you will also continue to have the right to export relevant benefits – basically as under current EU social security coordination rules – and any associated reciprocal healthcare cover. 6. Will my child be able to continue schooling in France? Yes. If you are covered by the Withdrawal Agreement, your child will be eligible for schooling, further and higher education in France as they are now. 7. Will my family members be covered by the Withdrawal Agreement? Yes – your direct family members will be covered by the Withdrawal Agreement in the same way as under current EU rules. This includes spouses and partners (where a relationship existed before the end of the Implementation Period), children under 21 or those older than 21 but who are still dependant (e.g students supported by their parents) and dependant parents or dependant grandparents. Children who are born or adopted after the end of 2020 will also be covered. 8. Will I be able to move to another EU MS in the future? Until the end of the Implementation Period there is no change to your ability to move to other EU Member States. Onward movement, beyond 2020, is one of the points that we have not yet reached agreement on with the EU We will continue to pursue this, and other outstanding issues, as part of our negotiations. 9. I live in one country but work daily in another country. Will I still be able to do this? Yes. If, for example, you live in France but work daily or weekly in Germany, you will continue to be able to do this. 10. I have been out of the UK for 15 years and unable to vote in the UK elections. Is the Government still committed to changing this? We fully appreciate how strongly people feel about the 15 year voting rule. The Government was elected with a commitment to ‘votes for life’ and is supporting a Private Members’ Bill which, if it becomes law, will implement this commitment. With thanks to the British Embassy in Paris.